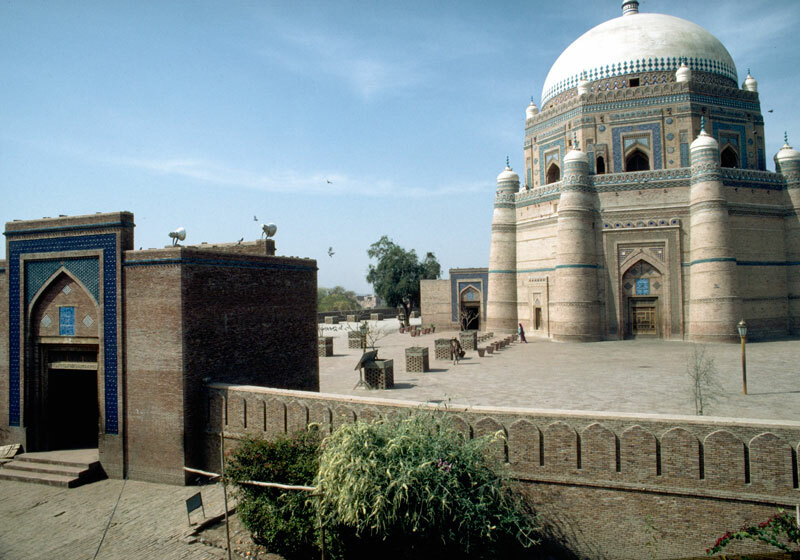 Exterior view of the tomb of Shah Rukn-i-'Alam, Multan, Pakistan. The 14th century tomb is circular in plan with eigth rounded butresses which rise into domed pinnacles. Exterior façade, Tomb of Shah Rukn-i-'Alam, Multan, Pakistan. A small white mosque stands adjacent to the tomb on a raised platform. 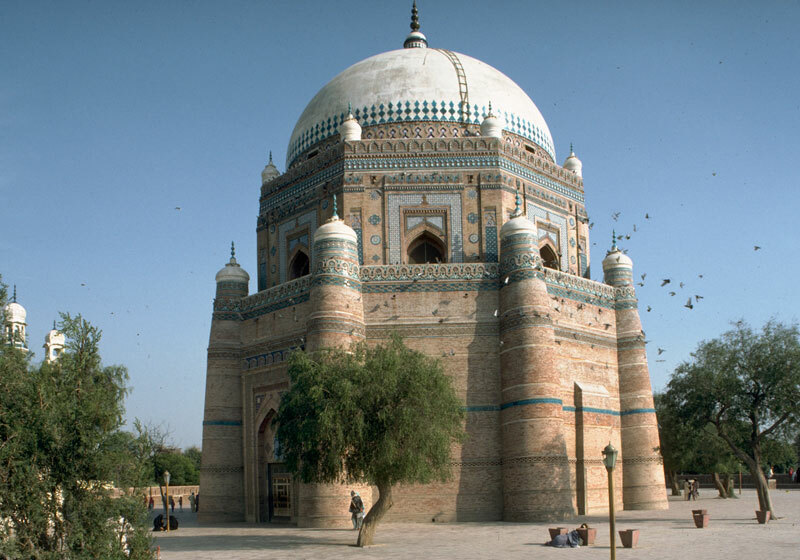 Tomb of Shah Rukn-i-'Alam, Multan, Pakistan. Interior, antechamber within the tomb, Tomb of Shah Rukn-i-'Alam, Multan, Pakistan. 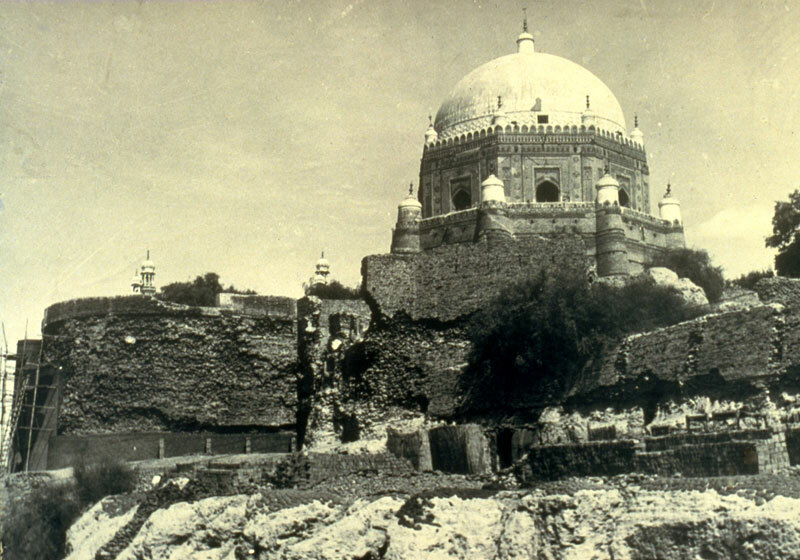 Historic photograph of the tomb showing the state of deterioration, Tomb of Shah Rukn-i-'Alam, Multan, Pakistan. 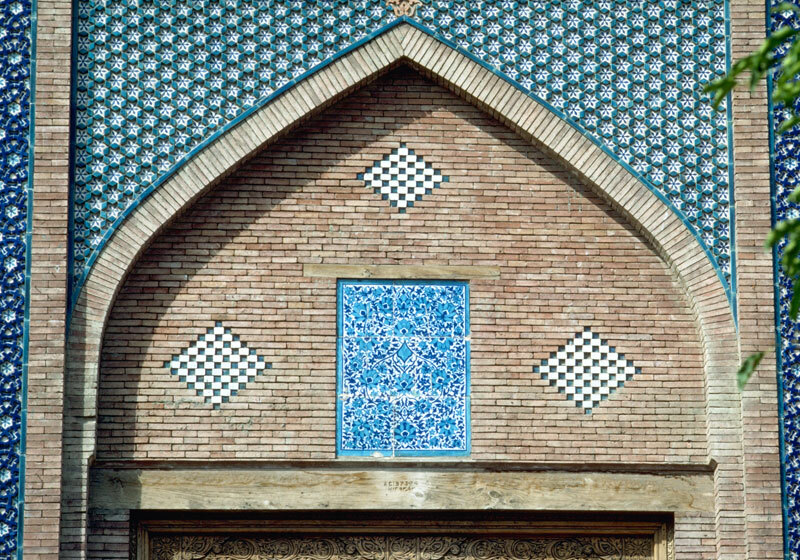 Detail of exterior decoration, Tomb of Shah Rukn-i-'Alam, Multan, Pakistan. 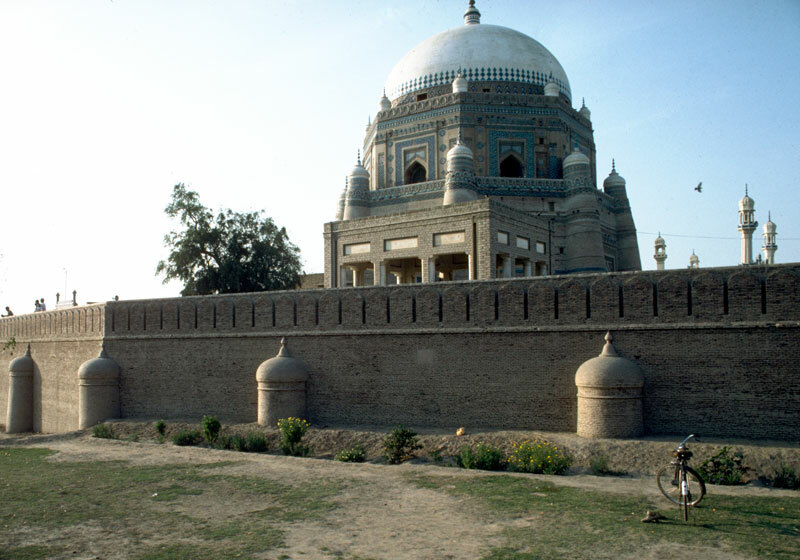 Tomb of Shah Rukn-i-'Alam, Multan, Pakistan. This 14th-century Tughlug-period tomb is one of the outstanding architectural treasures of Pakistan. 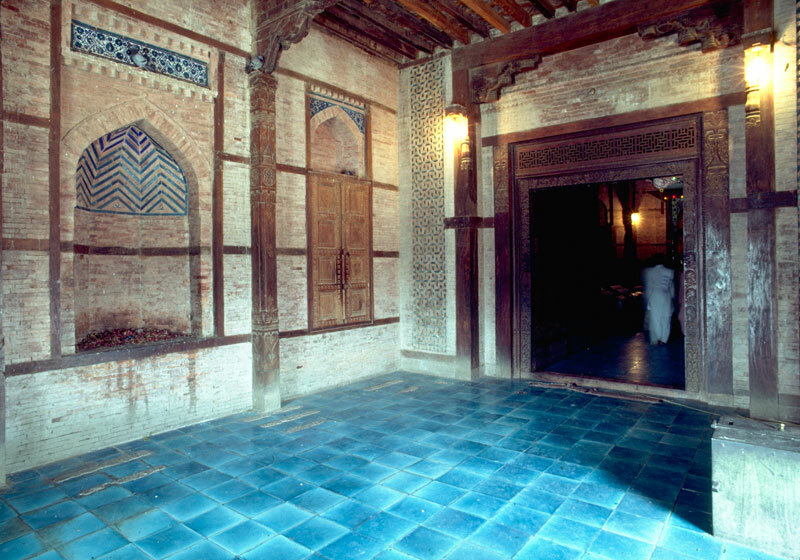 Conservation commenced in late 1971 and was completed in six years. Because of the monument's dilapidated condition the repair work required was extensive. The foundations and the lower sections of the brick walls were rebuilt, destroyed tiles were replaced, damaged woodwork repaired and the site landscaped. 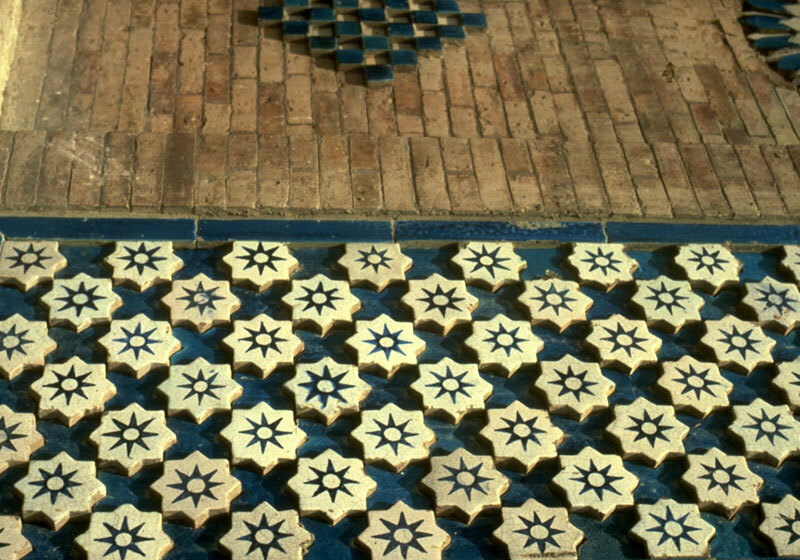 This project required the establishment of a training programme for Pakistani craftsmen in the traditional crafts of glazed Multan tile work, wood carving and terra cotta. Indigenous craftsmen who had inherited the knowledge of these crafts trained a total of 33 novices, now active in other conservation efforts as well as in new building. 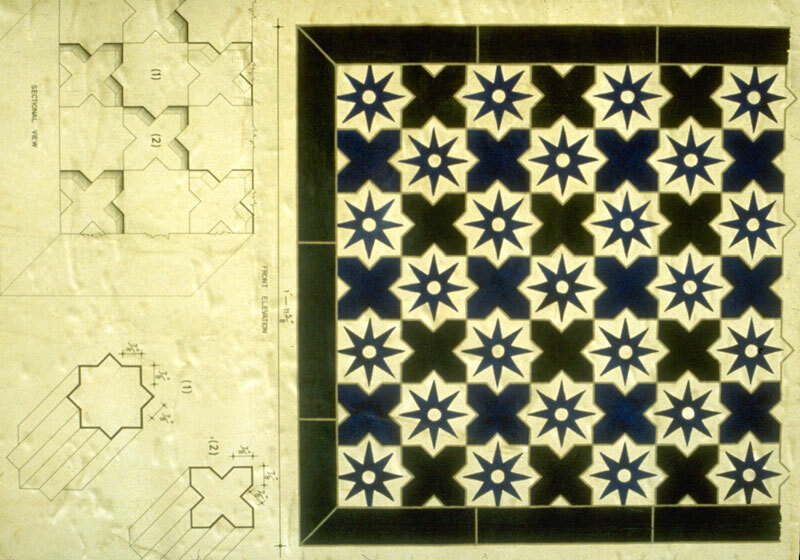 The jury commended this restoration for its contribution to reviving some of the great crafts of 600 years ago and promoting similar building activity throughout the country.